The NSW Smart Sensing Network draws upon a broad pool of scientific expertise with application across a range of industries and sectors. Our focus areas are aligned to the needs of industry, government and end-users. However, we are open to considering any collaborative project that might fall outside our defined focus areas. Building the smart cities of tomorrow requires a complex understanding of how people and goods move around and interact with the built environment. Smart sensors that are networked and distributed will direct traffic flows, monitor infrastructure, provide smart services to residents and make crowded cities dynamic, liveable spaces. Plant, animal and ecosystem health are fundamental to both the state’s environment and economy. 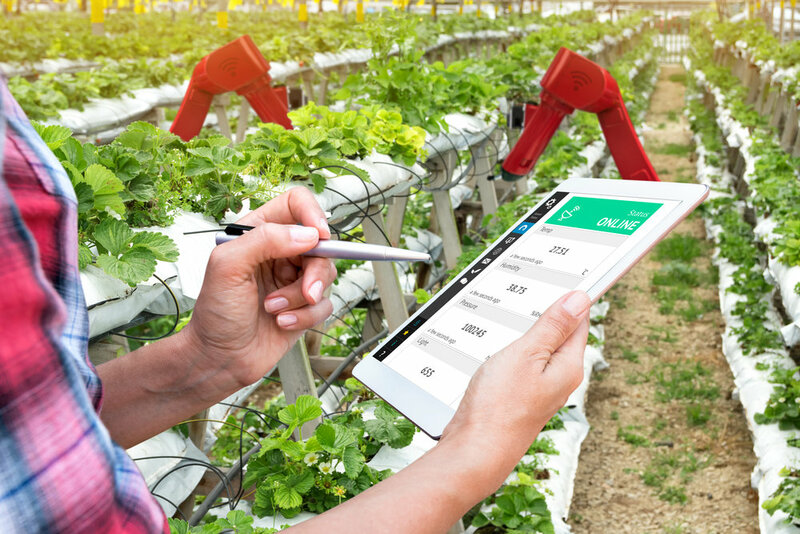 Relying on the latest advances in photonic and chemical science, smart sensing will monitor air and water quality, improve harvesting efficiency and inform quality assurance in the food supply chain. Smart manufacturing relies on smart sensing. Integrated, distributed sensing technology will power next-generation warehouses, predictive maintenance and automated quality control. Smart sensors will streamline logistics and inventory throughout the supply chain to keep NSW competitive as a manufacturing state. From wearable sensors that constantly monitor health and wellbeing to handheld biomedical monitors that will accurately diagnose and monitor a range of diseases, smart sensors that are bio-compatible and nanoscale will change the way humans manage their health and lead to enhanced quality of life. Automating the resources and energy sector will bring significant benefits to the NSW economy and the state’s energy security. Next-generation sensing technology will drive autonomous vehicles in dangerous locations, advance remote sensing capability and increase extraction efficiency.